Our floor coatings are stain and abrasion resistant, so even a dropped pot of the special of the day won’t damage the flawless finish. 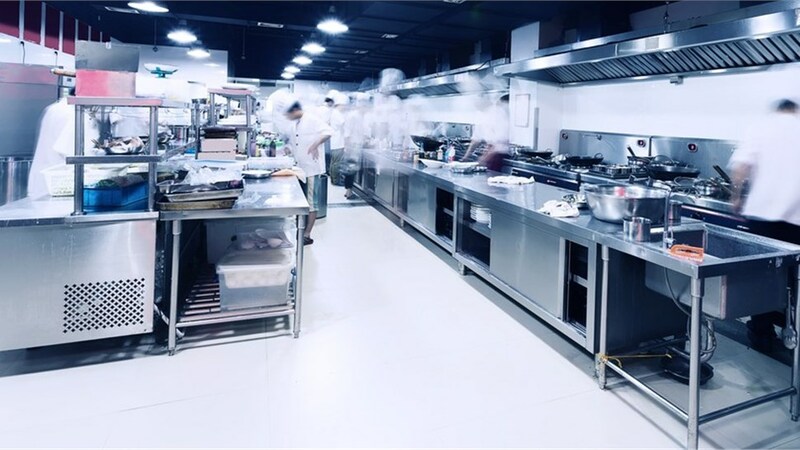 The flooring in any commercial kitchen is important, and it must have all the necessary features to maximize the safety and convenience of your staff. 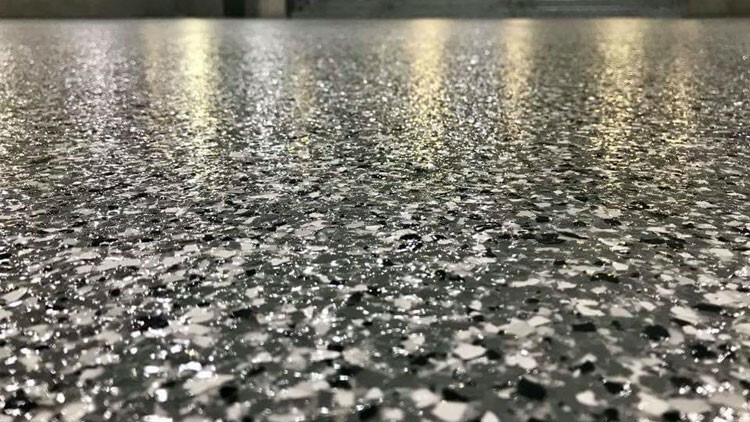 Aside from being highly slip resistant, the ideal finish should be able to withstand heavy foot traffic, hot spilled food, and heavy dropped pans. The challenge lies in finding an affordable commercial kitchen floor coating that can offer all of that—and still look great. 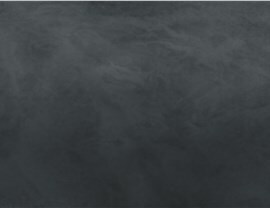 24 Hour Floor offers floor coatings that check every must-have for your commercial kitchen. Our award-winning products, certified installers, and unwavering commitment to earning 100% customer satisfaction make us the smart choice for all of your commercial concrete coating needs. 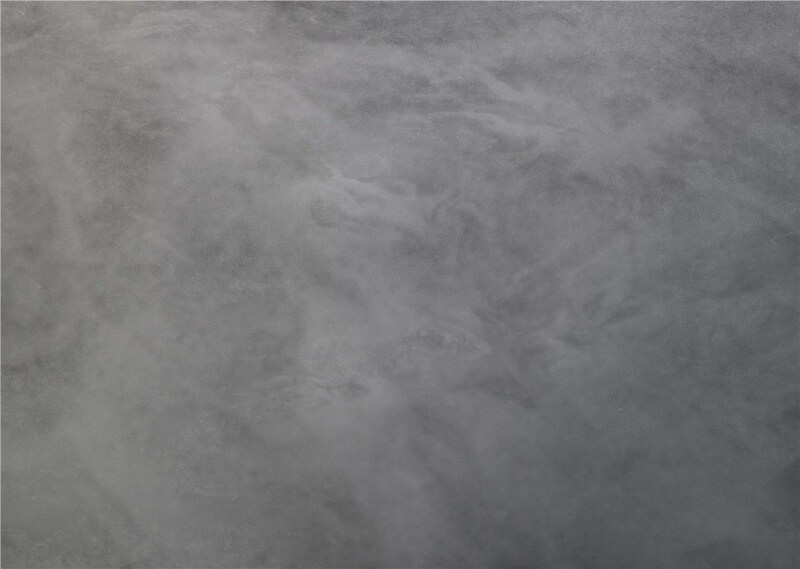 Most good restaurants have lots of options on their carte du jour, and 24 Hour Floor provides a menu of concrete coating choices that are ideal for commercial kitchens. Choose from many colors, or ask us to create custom shades that match your branding or logo. We have two products in particular that are ideal for a commercial kitchen floor coating. 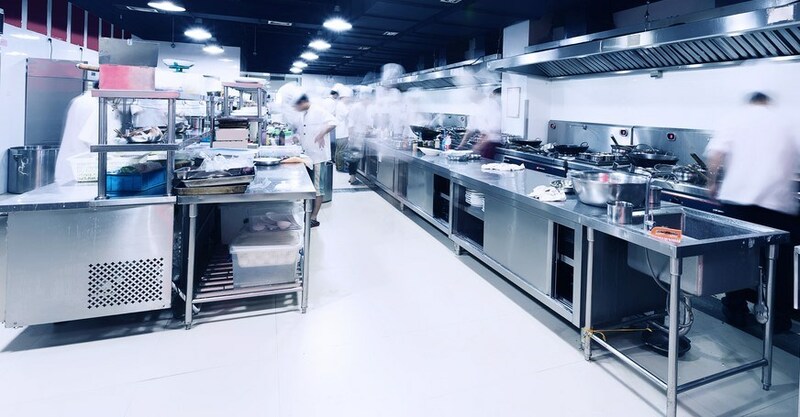 Epoxy Floor Coatings: Commercial kitchens tend to have lots of people coming and going, and our epoxy coatings can stand up to even the heaviest foot traffic without damage. If your floor has existing chips or cracks, this coating can disguise them for a flawless finish. Since this product is ideal for large areas, it will provide a consistent coating even in a sprawling commercial space. Choose a textured coating to help prevent slip and fall accidents—even when the floor is wet. Polyurea Floor Coatings: The installation of a polyurea concrete coating can be completed in a single day, so there will be minimal downtime in your kitchen. This floor performs equally well in extreme cold or in hot, steamy spaces, and requires very little maintenance. You’ll also appreciate the affordable price point and long recoat window that make this commercial floor kitchen coating such a great value. The team at 24 Hour Floor brings more than 30 years of industry experience to every job, and we’ve built our business on providing safe, affordable, attractive commercial floor coating options. Contact us today to learn more about our products and to schedule a free consultation and estimate. Call today or fill out our online form now to get started.